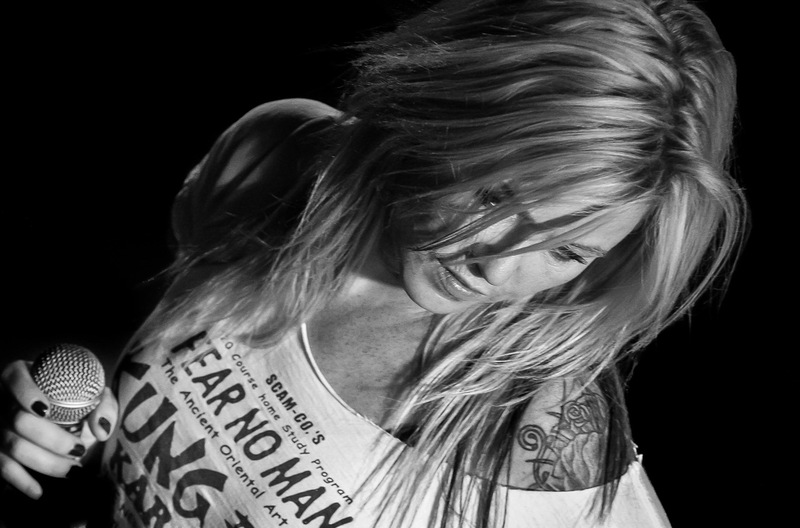 Currently viewing the tag: "carol beggy"
Most people might have slowed down by now. 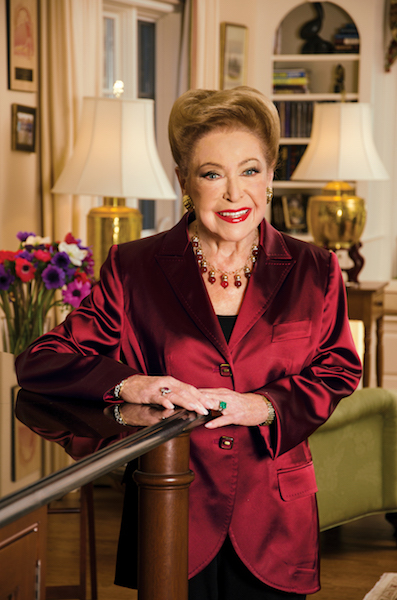 But Mary Higgins Clark is decidedly not most people. 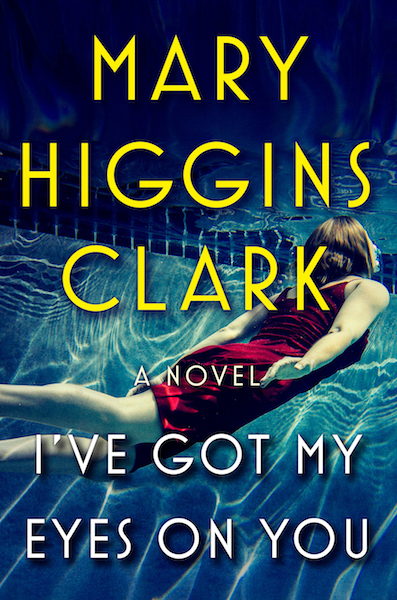 With more than 50 best-selling books to her credit (100 million copies of her thrillers are in print in the United States alone) and a new novel, I’VE GOT MY EYES ON YOU, just released, the “Queen of Suspense” is still on the move. In fact, this Bronx-born denizen of Saddle River, N.J., produces two books a year. Clark, who celebrated her 90th birthday on Christmas Eve, always makes time for her many (many) fans and will put her pen down long enough to be recognized by her fellow writers. For her “distinguished service to the literary community,” the Authors Guild Foundation on May 16, 2018 will honor Clark, along Fulcrum Publishing’s Charlotte and Robert C. Baron, and Vida: Women in Literary Arts. Beyond her prodigious and well-received work, Clark has been an indefatigable supporter of the FRAXA Research Foundation, a Massachusetts-based non-profit leading the way into research of Fragile X, the most common inherited form of autism. Clark indulged our own (resident Clark fan) Carol Beggy in a few questions about her work, her fans, and her philanthropy. CB: Mary, if I can be so bold as to call a literary hero by her first name, how do you do it? Specifically, you’ve continued to write books that resonate with readers when other authors would have taken their winnings and retired to the beach or the mountains. MHC: Yes, call me Mary. It’s very flattering that readers have enjoyed my books over the last 43 years. I am at heart a storyteller. That’s what I do. I’m not much of a cook, although my five children did not starve to death. I can’t sew a stitch. Nothing I planted in the garden grew properly. So, what would I do all day if I didn’t write? I hope I never find out! CB: Are your fans really as loyal as they seem? I overheard two people waiting at the airport, one was reading one of your books, and the conversation involved them first trying to not ruin any plot lines and then debating various stories you told. Do they engage you about your stories? How do you keep it all straight? MHC: I have been blessed with many readers who say, and they mean it, “I’ve read every one of your books.” We’ve had a relationship that’s lasted over 40 years. I love it when readers tell me my book kept them up until 2:00 in the morning. It’s also great when they tell me which of my books is their favorite. It’s gratifying that their answers are many different titles. CB: Even within the industry, you have a large following of fans. I have been at Book Expo, the annual publishing industry trade show, and when you are doing a signing the editors, librarians, other authors in attendance “fight” for a spot in your line. (You and James Patterson get that same treatment.) 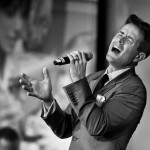 Does it ever surprise you or make you pause that you’ve achieved a kind of rock star status? MHC: I can honestly say I am living my dream. I know so many people who are wonderful writers who can’t make a living doing it, who get very modest contracts if they can get published at all. I must share a story from the old days. The first book I wrote was a historical novel on George Washington. Its title was ASPIRE TO THE HEAVENS. This was 1968. I would go around to the few bookstores that carried it and volunteer to autograph the copies. In those days the stores could not return a signed book for credit, so every signed book meant a sale. I made a pact with God. If I ever become famous, I’ll never refuse a request to sign a book. I’ll always remember that a signed book meant a sale. CB: I have a Little Free Library (one of those take a book, leave a book, swapping stations) in front of my house. Your books, any time or format, are among the fastest moving. I put one in the Library’s shelf and it is gone. I even saw an older man take one telling me that he loves to read your books, but people give him a hard time. Has it ever surprised you to learn that someone was a fan? 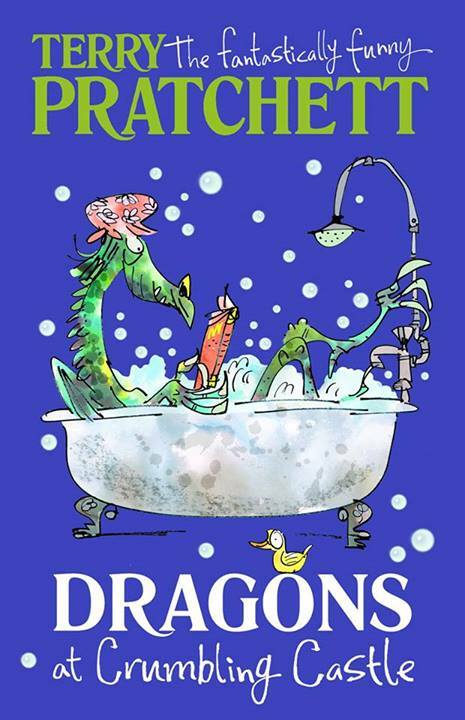 MHC: My publisher tells me that about three quarters of the people who buy my books are women. But I’ve been delighted to hear from so many men who became readers when their wife, girlfriend or mother insisted that they give my books a try. CB: As new audiences find you, do you ever want to go back and re-tell a story or re-do a book? MHC: Not really. Whenever I finish a book, I say, okay, I’ve told the best story I can possibly tell. The only time I have regret, and maybe that’s too strong a word, is when a lot of readers tell me they figured out early on who the killer was, and they were right. I remember in one of my early books I introduced a character who was expert at imitating other people’s voices. That skill makes people very uncomfortable, and they immediately suspected him. I try to keep readers guessing, but when the killer is revealed, I want the reader to agree that there were clues along the way that built a case for this person to be the killer. Nobody likes an ending that comes out of left field. CB: I understand your son Dave plays an important role in your writing. Can you tell me about that? MHC: Dave started working with me about five years ago. In the beginning he was doing research and handling my email correspondence with my editor. I developed arthritis in my hands and typing became difficult. I started dictating to Dave. He would bring back what I wrote with some suggestions on how things might be said differently. They were good. It quickly evolved into talking plots and characters with him and the results have been very good. Dave came up with idea for my current book, I’VE GOT MY EYES ON YOU. CB: Now to the non-writing work that you and your family have dedicated yourselves to: advancing research toward improved treatments and a cure for Fragile X, which affects your grandson. What’s the most important thing people who have not been directly affected by this genetic condition should know about it? MHC: It’s not always obvious that a child has Fragile X, so if you see a child who is having a hard time – anxious, afraid. having a meltdown – it’s quite possible that they are doing the very best they can. But despite challenges, most people with Fragile X are very friendly and love humor. CB: Fragile X has been a cause close to your heart. Tell us why it’s so important to you? MHC: There are so many worthy causes and diseases to be cured, but the impact is greatest when it hits close to home. When my grandson was born, his parents quickly became aware of a relatively new organization called FRAXA Research Foundation. Almost 30 years ago, shortly after my grandson was diagnosed, Katie Clapp and Mike Tranfaglia came to my house, shared the story of their son Andy and how they were devoting their lives to finding treatments and a cure. 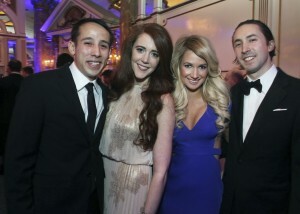 I was so moved that I pledged $1 million to FRAXA and I hosted a fundraising gala in New York City. CB: You and now so many members of your family are big supporters of FRAXA Research Foundation. Could you tell us a little bit about FRAXA? 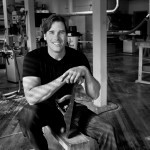 MHC: FRAXA is a national 501c3 nonprofit founded in 1994 in Newburyport, MA. FRAXA’s mission is to find effective treatments and a cure for Fragile X, the most common inherited cause of intellectual disabilities and autism. To date, FRAXA has invested over $27 million into cutting edge biomedical research, yielding discoveries that are changing the lives of families coping with fragile X.
CB: Of the many FRAXA fundraising parties/events you’ve attended, tell me about the one when your granddaughter Elizabeth gave a remarkable speech, “This is my brother”, about her brother David who has Fragile X.
CB: How can people help? MHC: There are two ways people can help. Research is expensive. FRAXA is such a worthy cause. And the research they are doing is making a difference in the lives of those affected by Fragile X. There’s another way the relatives and friends can help a family with a child who has Fragile X. Many of them are so good about minding the kids so the parents can have a break. What they should also consider is the sacrifice that siblings of Fragile X kids make. If you can take care of the child with Fragile X while the family and the non-affected siblings have a chance to do an activity together, that is so helpful. We should remember that the siblings of kids with Fragile X are really special, too. Boston was represented at BookExpo America—right from the start. The line to have B.A. 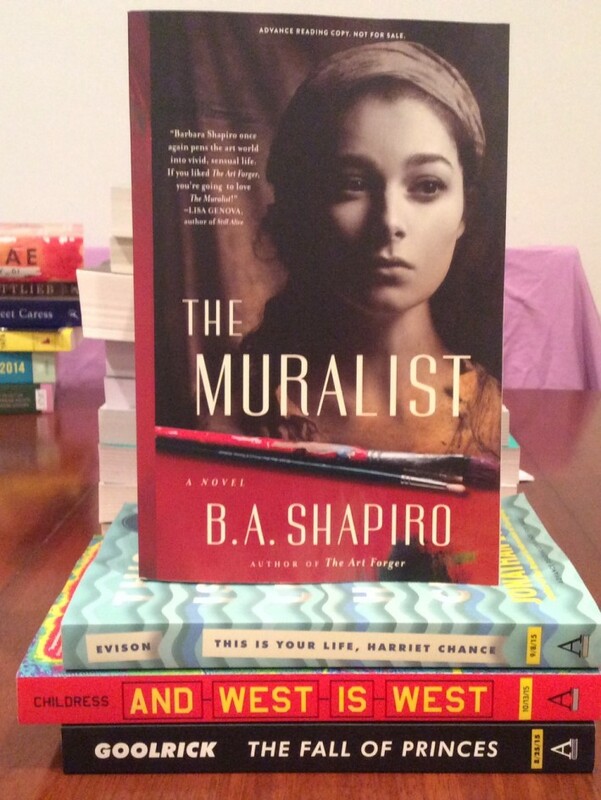 Shapiro sign advanced copies of “The Muralist” snaked around the corner of the Algonquin Books booth on the first day of BookExpo America but the novelist still took the time to chat with her fans. As those with Massachusetts’ ties reached the Boston-based novelist’s signing area, the topic quickly changed to the 1990 heist of the 13 precious works of art, including an important Rembrandt seascape. “I hope that they are found one day. I hope they aren’t lost,” she told one fan from Western Massachusetts. It’s not just a passing interest for Shapiro, who has also taught creative writing at Northeastern and sociology at Tufts. Shapiro’s bestselling novel of a couple of years ago, “The Art Forger,” explored the underworld of art theft and forgery. “The Muralist” is set in 1940 and centers on an American painter who disappears and neither her family living in German-occupied France nor her patron, Eleanor Roosevelt, knows what happened to her. The 352-page book is scheduled to be released on Nov. 3. Other novels from Algonquin that are already getting notice—and it’s only Day 1 of BEA, the country’s largest book industry convention—are Jonathan Evison’s “This is Your Life, Harriet Chance!” due out on Sept. 8; Ron Childess’ “And West is West,” due out Nov. 13; and “The Fall of Princes” by Robert Goolrick due out Aug. 25. From the BEA Editors’ Buzz Panel: Grand Central Publishing’s release of Julie Checkoway’s non-fiction tale “The Three-Year Swim Club,” due out on Oct. 27, 2015; Dr. Damon Tweedy’s highly anticipated “Black Man in a White Coat,” from Picador, which will be released on Sept. 8; Dan Marshall’s memoir “Home is Burning” will be released by Flatiron Books on Oct. 20; Simon & Schuster’s imprint Scout Press makes its debut with Ruth Ware’s haunting novel, “In a Dark, Dark Wood,” which is due out this summer; “City on Fire,” is Garth Risk Hallberg’s sweeping debut novel set against the backdrop of the 1977 blackout that nearly crippled New York City, which Knopf will release on Oct. 13; and, finally, Boston-based fiction writer Ottesa Moshfegh’s “Eileen,” which Penguin Press will release on Aug. 18. 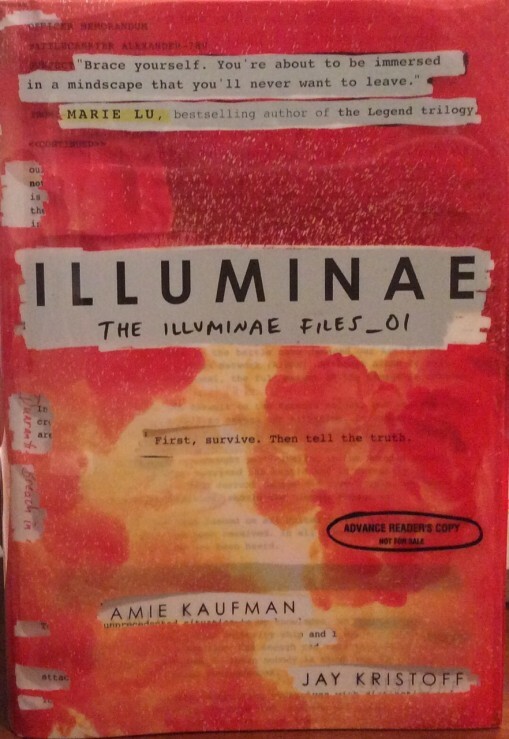 One of the fastest growing segment’s of the publishing industry is the young adult category (called “YA” in the biz) and while it would be impossible to say which title was the hottest, it can be said without fear of argument that Amie Kaufman and Jay Kristoff’s “Illuminae: The Illuminae Files­__01” is a book, from Alfred A. Knopf for Young Readers that will make some waves when it is released on Oct. 20. With an elaborate layout and design, the book is that rare find: it offers enough to get both male and female younger readers to pick up a nearly 600-page book. 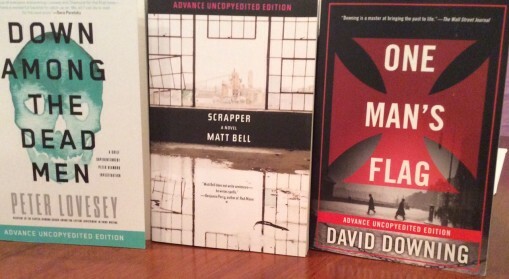 Another first day stop is the booth for Soho Press, which is known for finding the brightest new voices in crime fiction, where they were promoting Matt Bell’s “Scrapper,” a novel about a Detroit that never rebounds from its economic depths. Think that might not be enough to base your fall reading list on? How’s this for an opening sentence: “See the body of the plant, one hundred years of patriots’ history, fifty years an American wreck.” Soho also has Peter Lovesey’s “Down Among the Dead Men,” a Chief Superintendent Peter Diamond investigation story, out this July and “One Man’s Flag,” by David Downing, which is a follow-up to his “Jack of Spies.” Set in 1914, “One Man’s Flag” covers a lot of history and territory and works, we were told, without having read the first installment. The book is due out in November. We’ll be back with Day 2’s roundup. Now in its fifth year in Boston, Magenta Foundation’s Flash Forward Festival of photography is now running at various locations in Boston. The headlining event, an exhibition of the work of photographer Bill Brett, opens on Friday, May 1 and runs through Sunday, May 3. 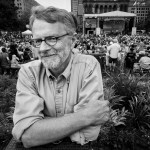 (There is a public reception on Saturday, May 2 at 7:30 p.m.) The Brett show features 50 photographs from Bill’s latest book, “Boston: Irish.” Boston magazine has a full rundown of the 2015 Flash Forward Festival. Stopping by the Harvard Book Store to get a copy of “Master Thieves” by Stephen Kurkjian seemed easy enough. (I’ve always thought the hardest part about shopping at the store is finding a parking spot or making the trek up from the Red Line station.) 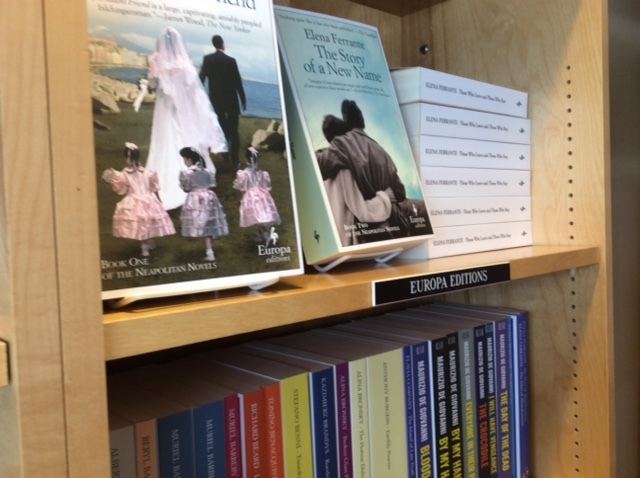 Then I started to puruse the “staff recommendations” and look at the “signed editions” available for sale in the Massachusetts Avenue shop. 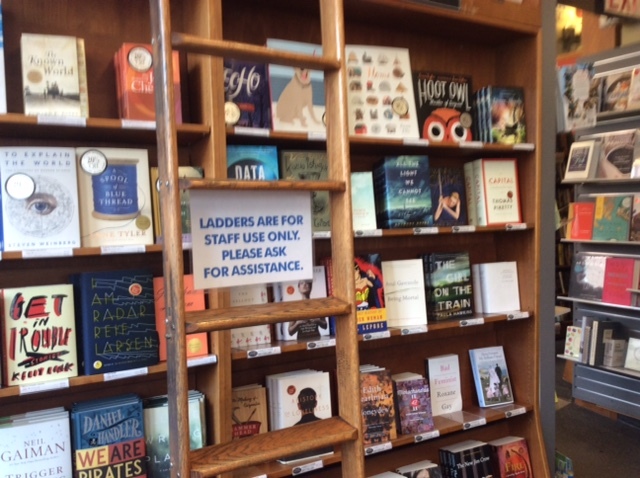 First, let me say that the staff at the Harvard Book Store takes the idea of recommendations seriously, very seriously. 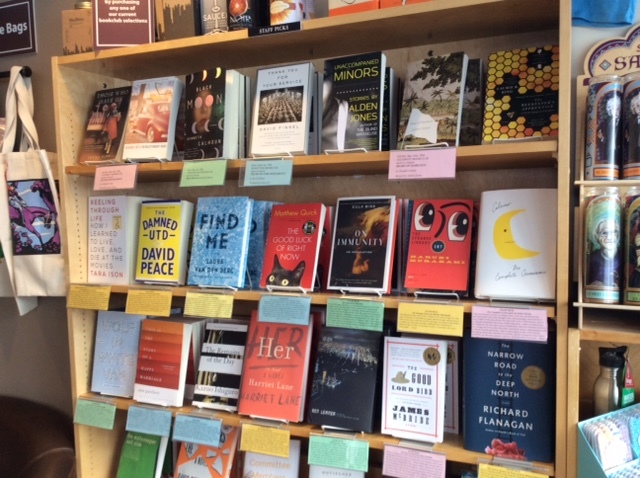 This staff has a running list of the “Top 100” as well as their own—printed on-demand—book with staff recommendations. 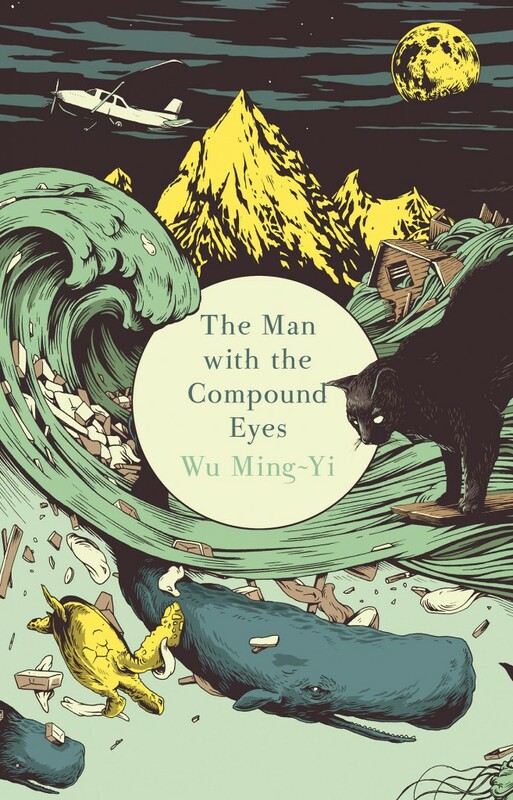 [ezcol_1half]First up is a pick from store staffer Ben N., which he says is “not quite like anything I’ve ever read,” the novel “The Man With the Compound Eyes,” by Wu Ming-Yi. Melissa L.-O. calls Sarah Manguso’s book of essays “Ongoingness: The End of a Diary”, which was released by Graywolf Press on March 3, “a dazzling philosophical investigation of the challenge of living in the present.” High praise, indeed. [/ezcol_1half] [ezcol_1half_end]And, like all of us who love books, the Harvard Book Store is celebrating the life of Terry Pratchett, the acclaimed author of 40 “Discworld” books, who died this month in England. Speaking of book clubs, Newtonville hosts a half dozen book clubs. 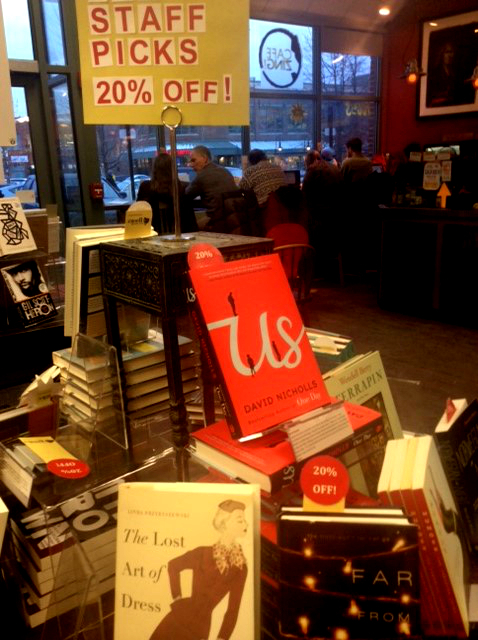 The store runs and stocks a number of books that are favorites of area book clubs. The selection is well-curated to reflect a broad taste – both popular and new and titles that have been on shelves for a while and might just be gaining a following. David Peace’s “The Damned UTD,” which The Times of London called “probably the best novel ever written about sport.” The book was originally released in 2006 and was made into a movie. (See The Guardian’s review here: I would suggest, Peace’s book from last May, “Red or Dead” but I do so with a warning. 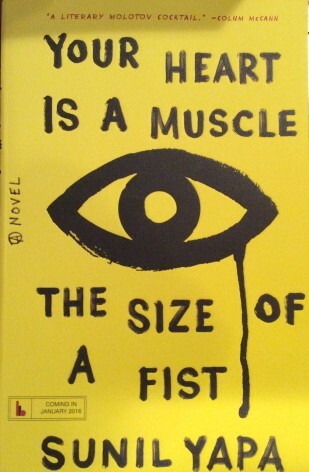 It is a 700-page experimental novel about a soccer coach. Yeah, I know. Notable in the non-fiction category is Eula Bliss’s “On Immunity: An Inoculation” from Gray Wolf Press that was released last fall. This title was among the “Buzz Panel” titles from last spring’s Book Expo America, which means that the industry and stores had a head’s up about the its release. What I can’t figure is that why a book about how humans are afraid of vaccinations hasn’t prompted even more discussion. Even if this book weren’t as well written and researched (and, I hate to admit an easy to read and share 216 pages), it should be a book all parents are required to read. Our dear friend Bill Brett shared these photos with us of a very special night. I have known Cathy and Rob Griffin for many years and I knew their son Corey from the time he was born. He had a big heart, embraced everyone and is missed every day. Through this foundation his memory and spirit lives on. 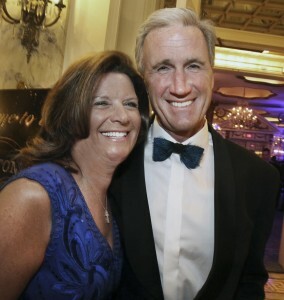 L. to R. are Cathy and Rob Griffin of Scituate. L. to R. are John Hynes 4th of Boston, Karen Aiello of Braintree, Kristen Aiello of Braintree, Ron Aiello of Braintree, Rebecca Hynes of Boston, Anthony Aiello of Braintree and Tricia Hynes of Boston. L. to R. are Elizabeth Sleeper of Boston and Alexa Brassard of L.a.
L. to R. are Andrew Wong of Newton, Meaghan Lewis of Newton, Kira Jepsen of Boston and Jameson Brown of Boston. 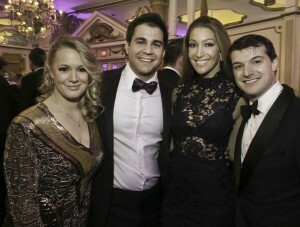 L. to R. are Kaily Nash of Boston, Michael Kapos of Boston, Anna Conrades of Boston and Michael Huffstetler of New York. 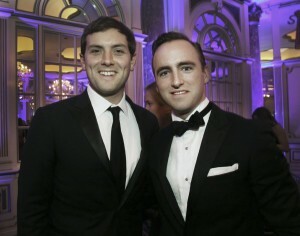 L. to R. are Luke Russett of Washington,D.C. with Tom Greeley of Boston. L. to R. are George and Mary McGoldrick of Cohasset and Joe Zink of Needham. What to read, what to read… If you’re like me, then you always stop at a bookstore and see what the staff has recommended before poking around the store. 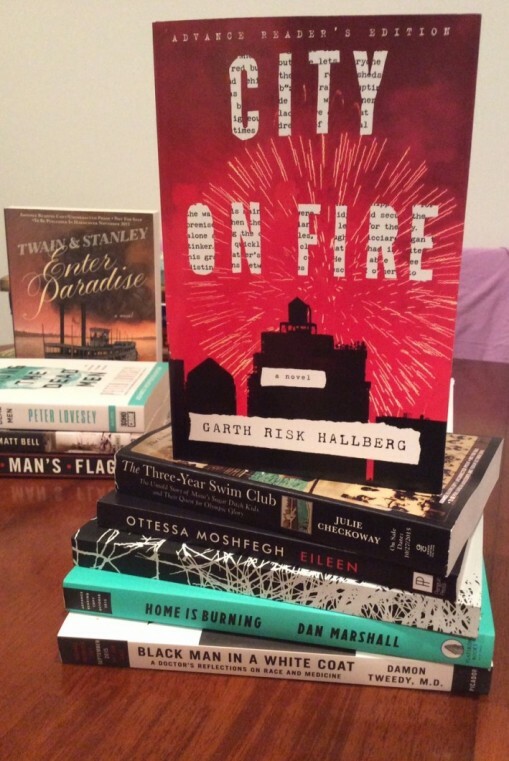 And the recent snowstorm was a windy reminder that an essential storm supply is a stack of good books. (No problem with power outages.) 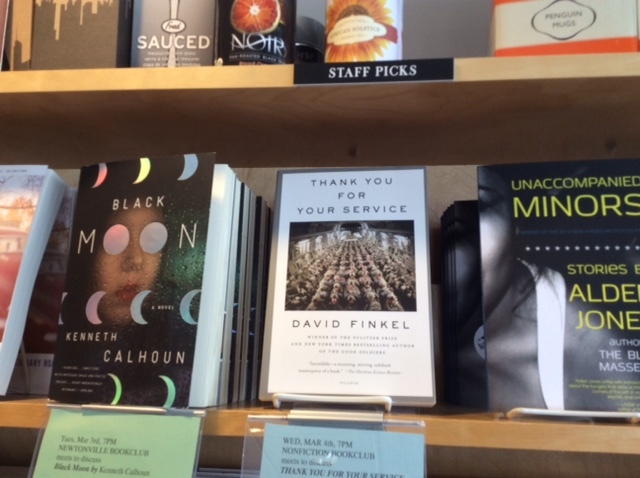 Today, we’re starting a weekly feature looking at the staff recommendations from some of our favorite bookstores. 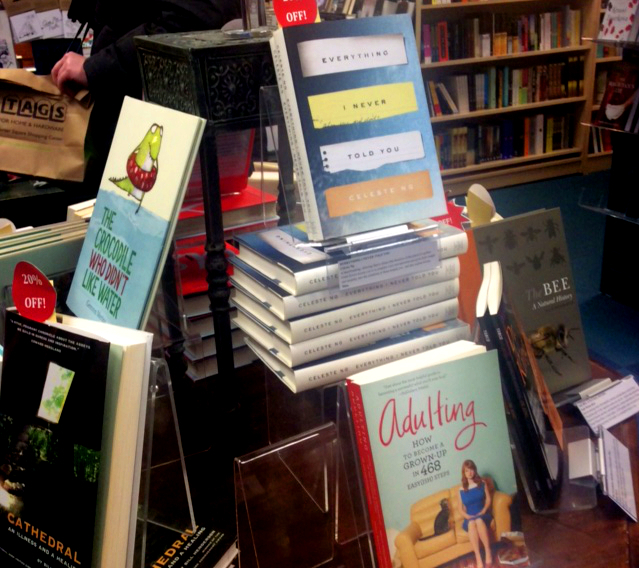 This week we visit Porter Square Books in Cambridge. “The Lost Art of Dress: The Women Who Once Made America Stylish” (Hardcover) by Linda Przybyszewski that Sarah says is a fascinating look at women and economics. And, “Adulting: How to Become a Grown-up in 468 Easy(ish) Steps” by Kelly Williams Brown. This gem is now available in paperback, is a great book to take as travel reading and is supported by the author’s blog, which doles out advice (some of a NSFW nature!) and update. 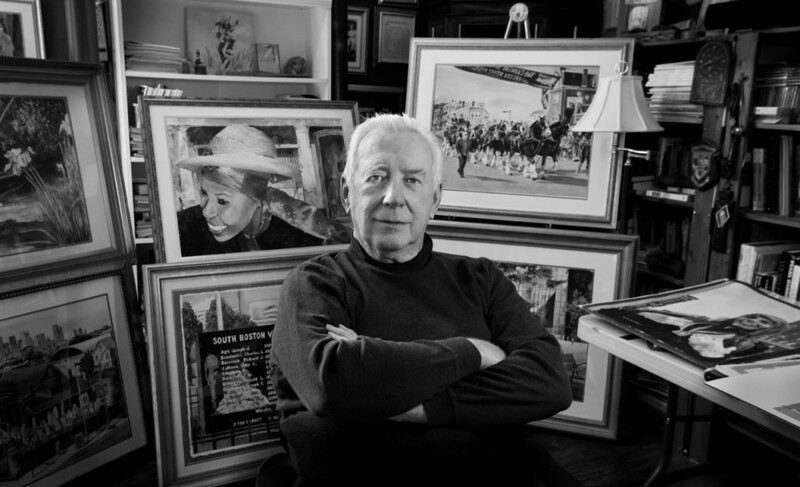 Carol Beggy, styleboston editor at large, teamed up with renowned Boston photographer Bill Brett again for “Boston: Irish,” a 304-page book that was just released from Three Bean Press. It is their fifth collaboration together. 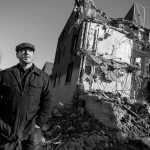 We’ve selected 15 images from the 266 black-and-white photographs of those in the city’s Irish-American community from the book. “Boston: Irish” is available area stores and on Amazon.com. The three-time Super Bowl champion quarterback is proud of his Irish roots and spoke about them at length to reporters when the New England Patriots played at Wembley Stadium in Great Britain in 2009. 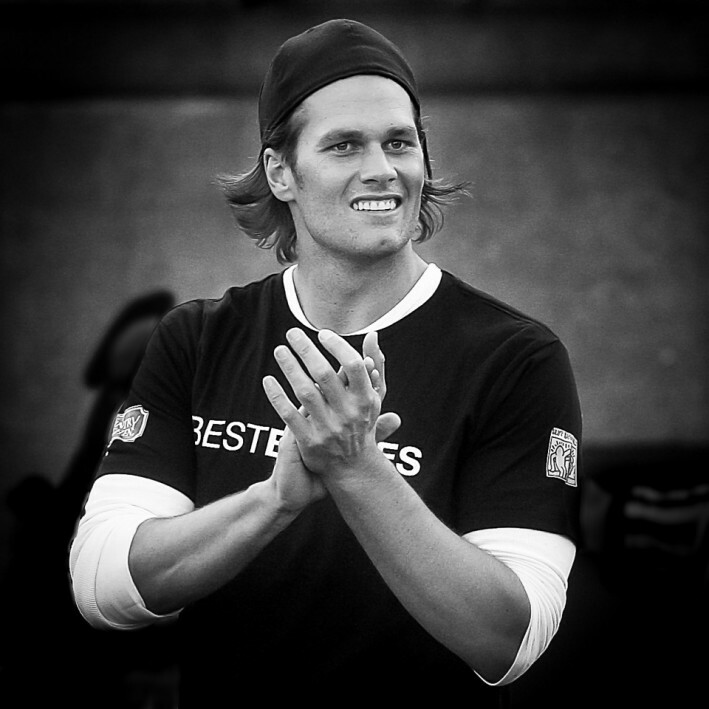 Tom is shown at an annual event at Harvard Stadium that he hosts to support the non-profit organization Best Buddies International. “Most of my books are odes to sections of one city,” author Dennis Lehane told a television crew about his fascination with Boston, his hometown. He is the author of a dozen books, three of which – “Mystic River,” “Gone Baby Gone,” and “Shutter Island” – were turned into movies. Founded in 1992, this group represents law enforcement from around the region. 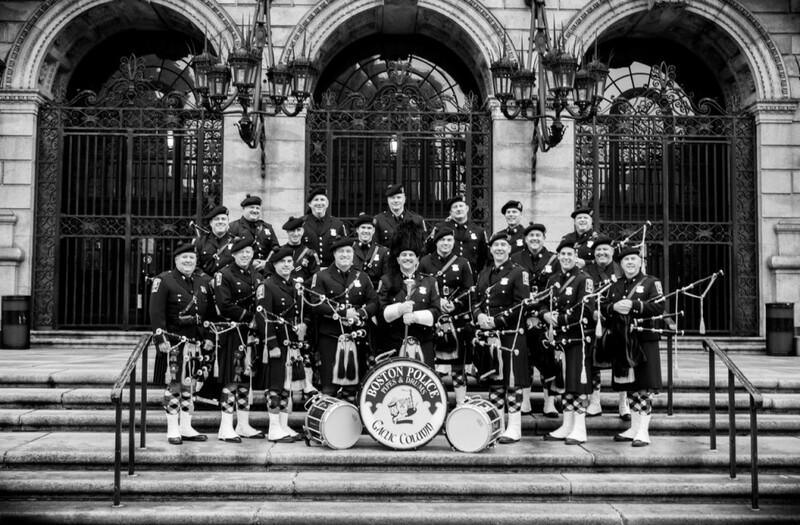 The members can trace their roots back to a half-dozen counties in Ireland. Among their many accomplishments is the distinction of leading Boston’s St. Patrick’s Day Parade each year. 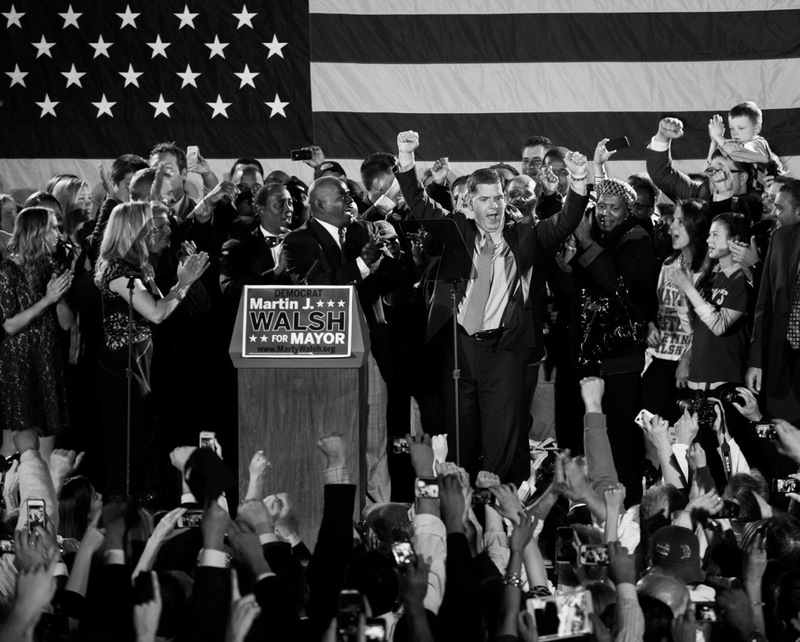 That Marty Walsh’s campaign to be the 54th mayor of Boston grew from support in his Dorchester neighborhood to a broad coalition that included every part of the city was never more evident than on election night November 5, 2013. A watercolorist and illustrator from South Boston, Dan uses his considerable talent to document familiar Boston scenes and capture the Ireland (and Boston) he remembers. 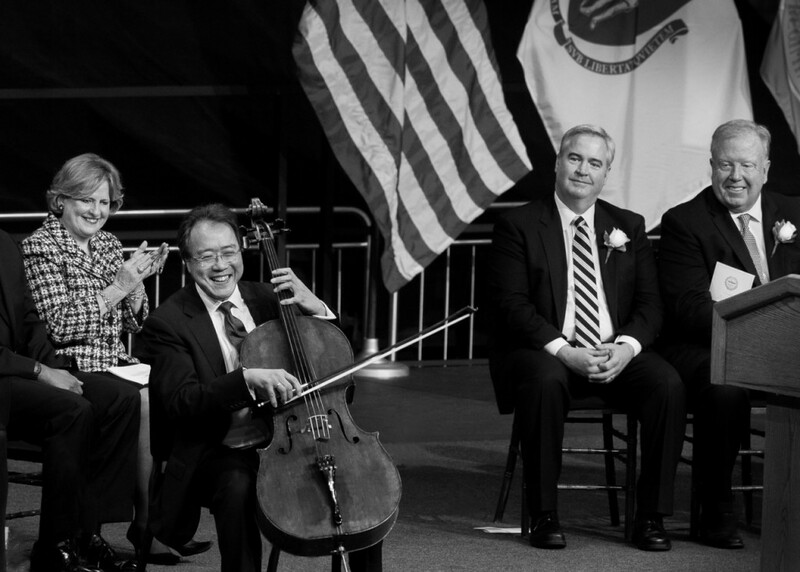 For his inauguration, Mayor Walsh called upon Yo-Yo Ma to play during the ceremony at the Conte Forum at Boston College. The famed cellist artfully managed to play “Danny Boy” between more classical selections. City Clerk Maureen Feeney and City Councilors Michael F. Flaherty and Stephen J. Murphy are shown on stage listening to the performance. 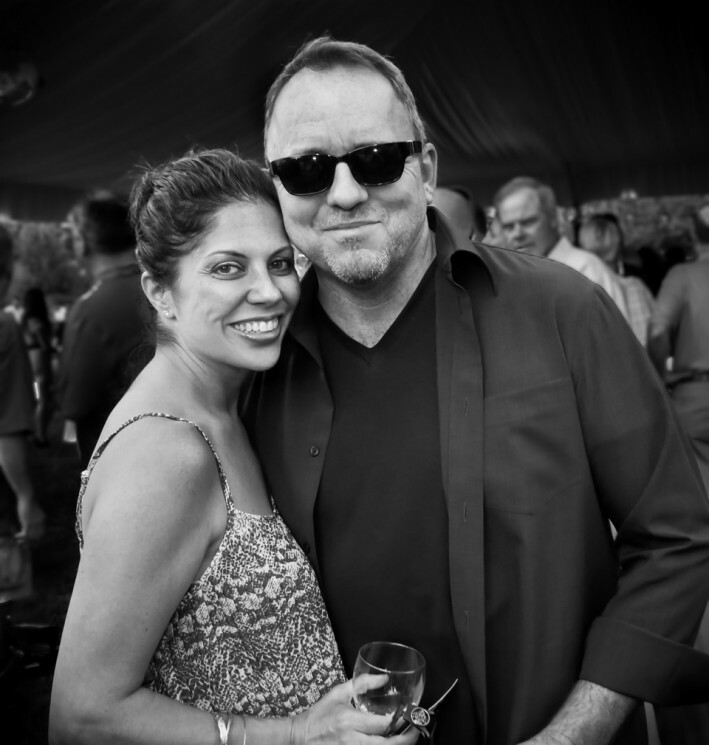 Sara and Diarmuid O’Neill, both Irish immigrants, met while working at Irish bars in downtown. 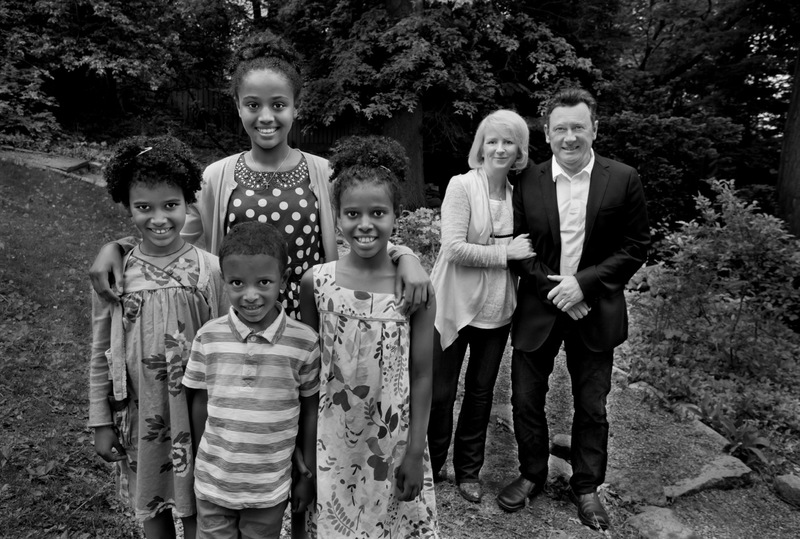 The couple, who now own The Squealing Pig, the Tavern at the End of the World and others, adopted four children from Ethiopia. The children are, from left, Rahel, 7; Bezawit, 10; Selamawit, 8; “and, finally, our wee boy is Andualem, and he is five,” Sara said. 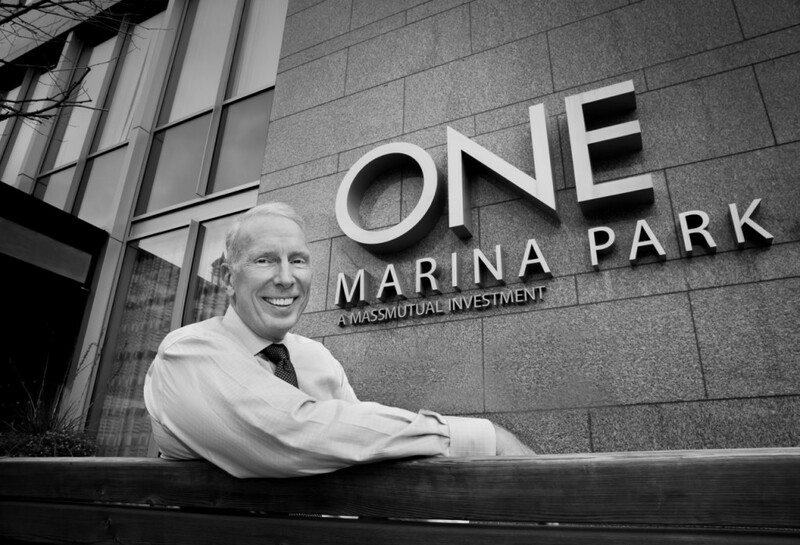 The development of the South Boston waterfront as a thriving new hub of the city seems so obvious in 2014, but, just 10 years earlier, there were many who thought that Joe Fallon was taking a huge risk trying to build where others had failed. Joe’s Fan Pier project is located between the Moakley Federal Courthouse and the Institute of Contemporary Art. 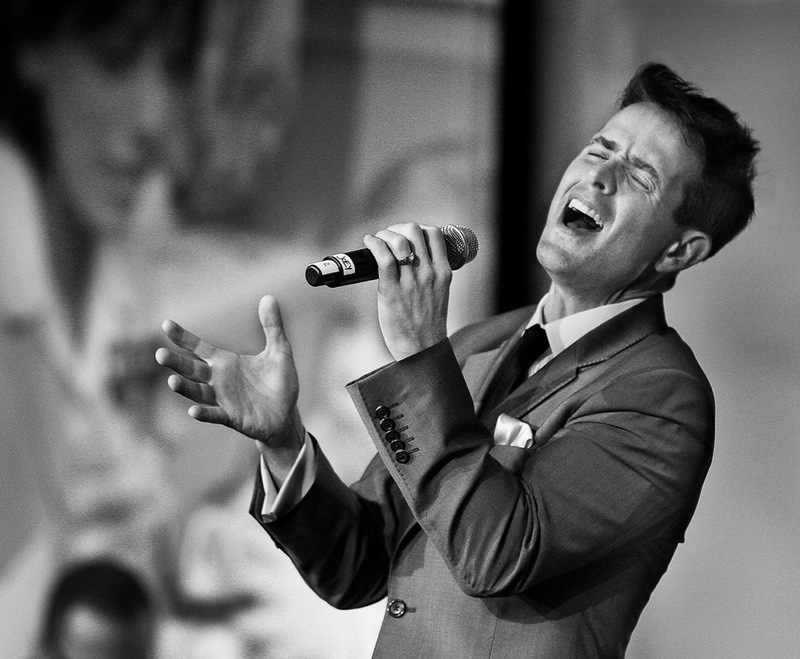 This actor and singer does a lot of charity work, but his support of the Massachusetts Eye and Ear is personal. 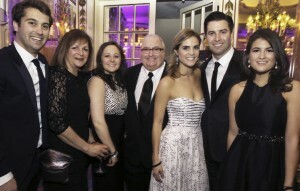 As parents of a child with severe hearing loss, Joey and his wife, Barrett, are supporters of Mass Eye and Ear’s Curing Kids Fund and its annual gala. 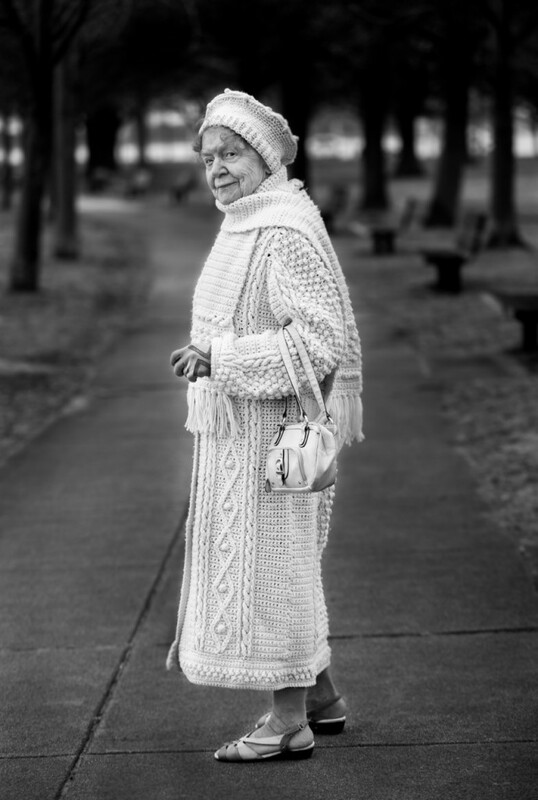 The first thing Bill Brett noticed about Sister Evelyn Hurley, SCN, who was walking in South Boston, was her coat, which she knitted herself. The city marked the nun’s 99th birthday by naming March 7m 2014, Sister Evelyn Hurley Day in Boston. 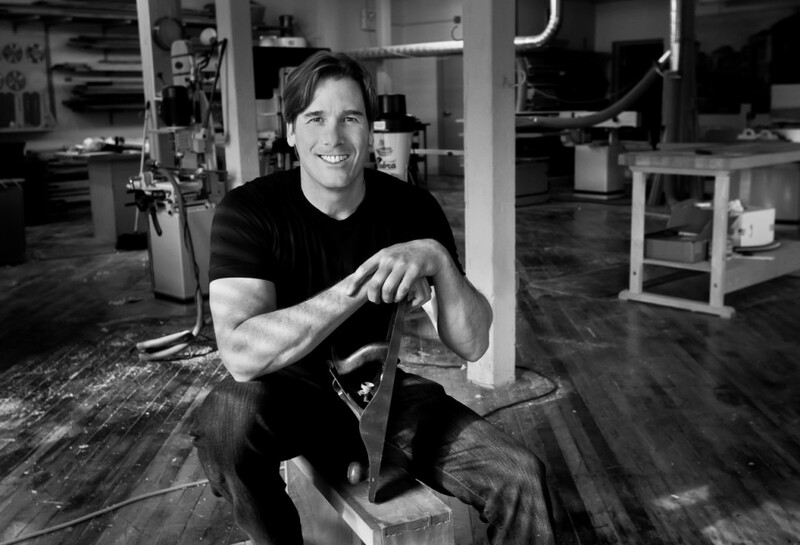 This charismatic creator and host of WGBH-TV’s “Rough Cut: Woodworking with Tommy Mac” was born the eighth of nine children to hardworking parents in Boston’s Dorchester neighborhood. After 27 years as a reporter and columnist for the Boston Herald, Margery Eagan joined The Boston Globe in July 2014 as a columnist for its Catholicism-news website, Crux. 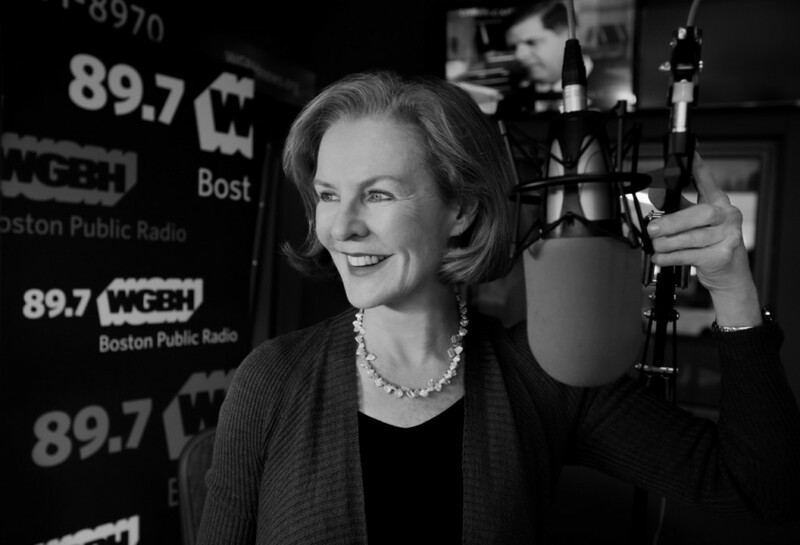 Margery and Jim Braude host a three-hour weekday issues talk show on WGBH-FM. 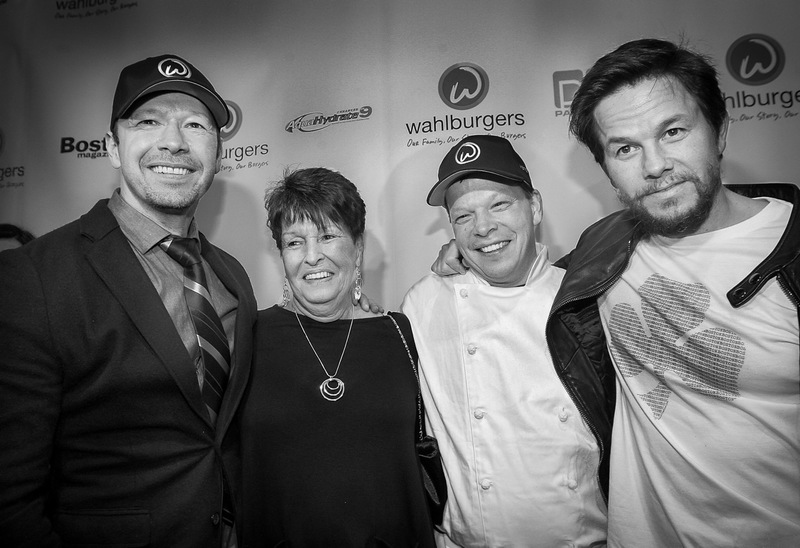 When Donnie and Mark Wahlberg walked the red carpet with their mother, Alma, on this occasion in 2013, it was to celebrate the work of their brother Chef Paul Wahlberg and the opening of the family’s first Wahlburgers restaurant. 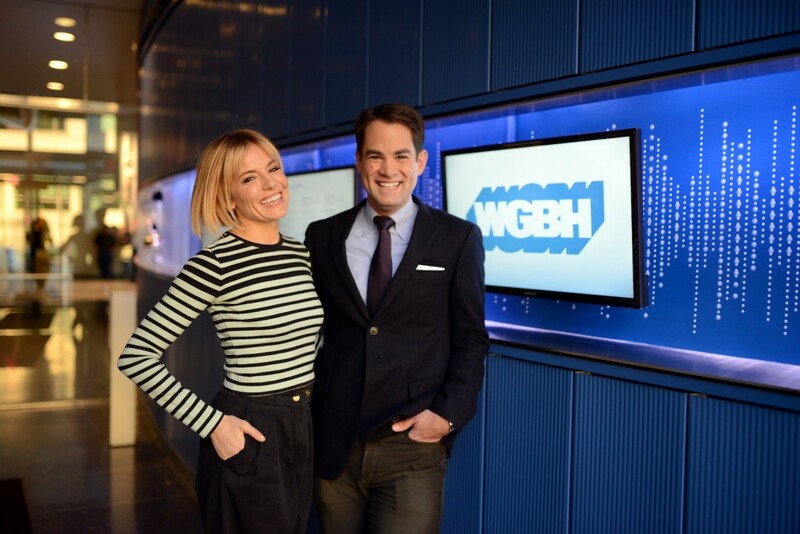 She has performed all over the world, but Kay Hanley remains at heart an Irish-Catholic girl from Dorchester. “It’s who I am to my marrow,” says the singer who is best known for her time with the alternative band Letters to Cleo. 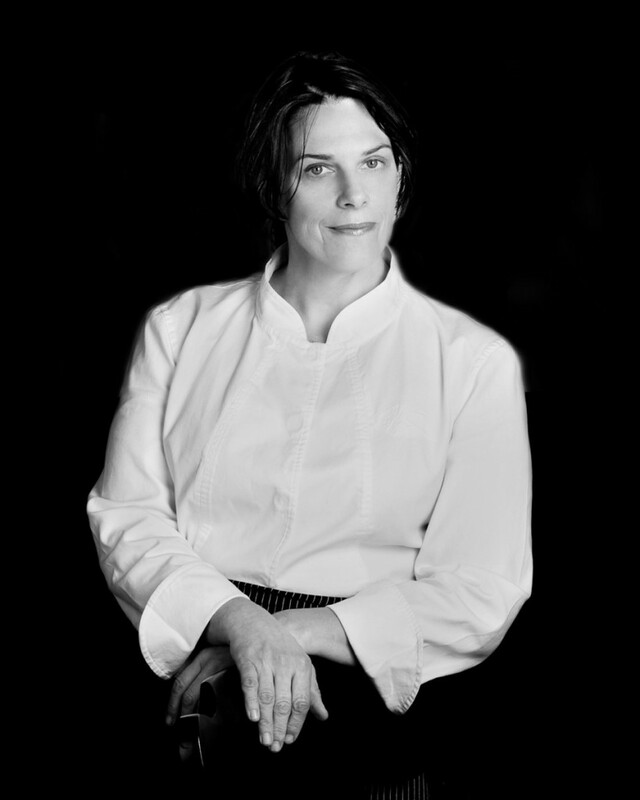 A leader in Boston’s culinary community, Barbara Lynch didn’t always have an easy path to success. She grew up in the Mary Ellen McCormack Housing Project and now oversees a $25-million restaurant group that includes No. 9 Park, B&G Oysters, and Menton. 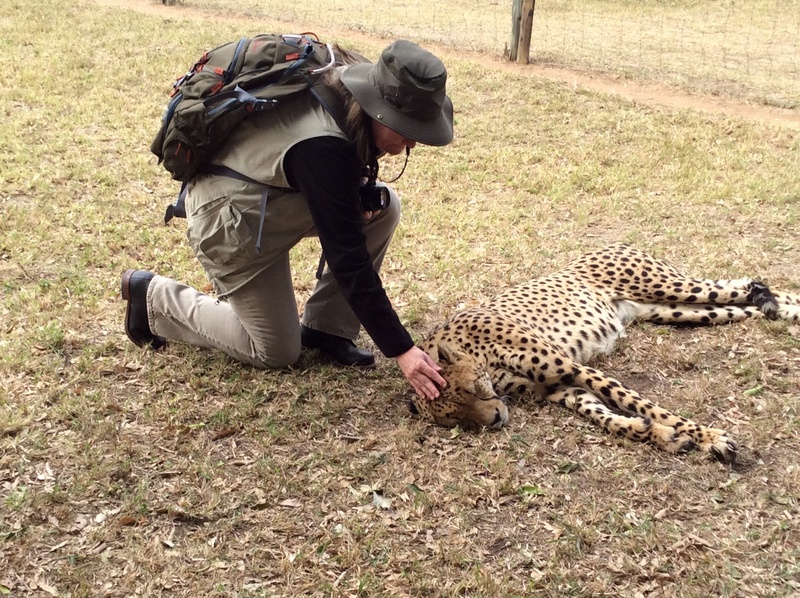 The woman you will read about here is a mother with a mission – to save her son’s life. Since Christine McSherry’s son Jett was diagnosed with Duchenne, a form of Muscular Dystrophy that primarily affects boys, she was told that the fatal, degenerative disease was something she couldn’t do anything about. To which this former nurse said: “That’s not true.” Christine has become a champion for new treatments and therapies that have extended the lives of her son and countless others. She launched the Jett Foundation (JettFoundation.org), knocked on countless doors, used every opportunity, and lobbied governments here and in Europe to bring drugs to the market sooner. Christine recently “competed” against four other area women in “Charity Warriors,” which was created by our styleboston colleague Christy Cashman and her producing partner Mary Chiochios through their charitywarriors.org portal. Christine raised $129,337 and won the $10,000 prize. (All of the money raised by each woman was directed toward her designated charity.) We thought we’d check in with Christine, a true Charity Warrior, on “Giving Tuesday,” the philanthropic end to the Black Friday and Cyber Monday shopping run. 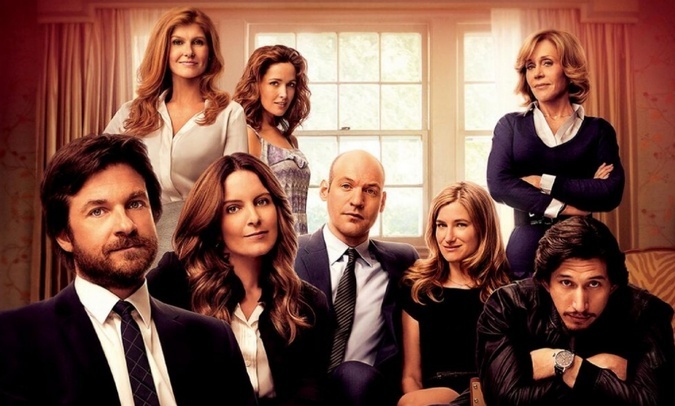 If you’ve even turned on your TV in the last month you’ve seen the ads with Jason Bateman, Tina Fey and the amazing Jane Fonda hyping the release of the film “This is Where I Leave You.” But the real buzz for this film began months before Jonathan Tropper’s novel of the same name was released. 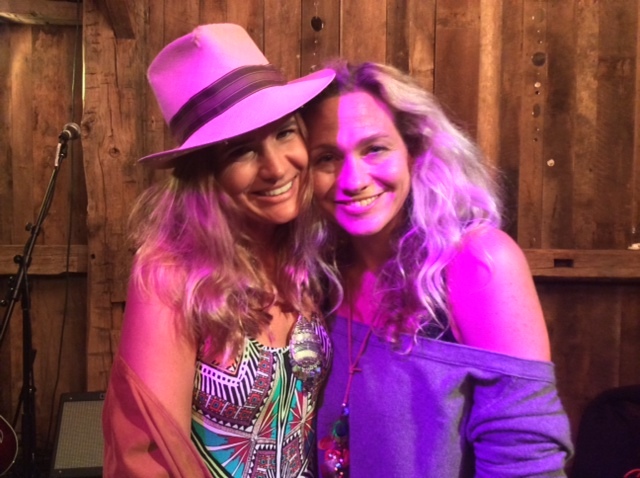 Sally Taylor opened her Consenses exhibition, which incorporates the work of 144 artists, on Martha’s Vineyard with a VIP dinner at the Chickemmoo farm that featured Sally performing with Seth and Josh Larson, whose work is featured in the show. After the set with the Larson brothers, Sally performed with Charlie Colin, bassist and founding member of Train, and Danny Beissel, founding member of Foster Children. I’ve never been a blogger; never thought I would, but here goes nothing. I’ve been doing some things in my life lately that I’ve never tried before. New things, things that I never knew I wanted to do. 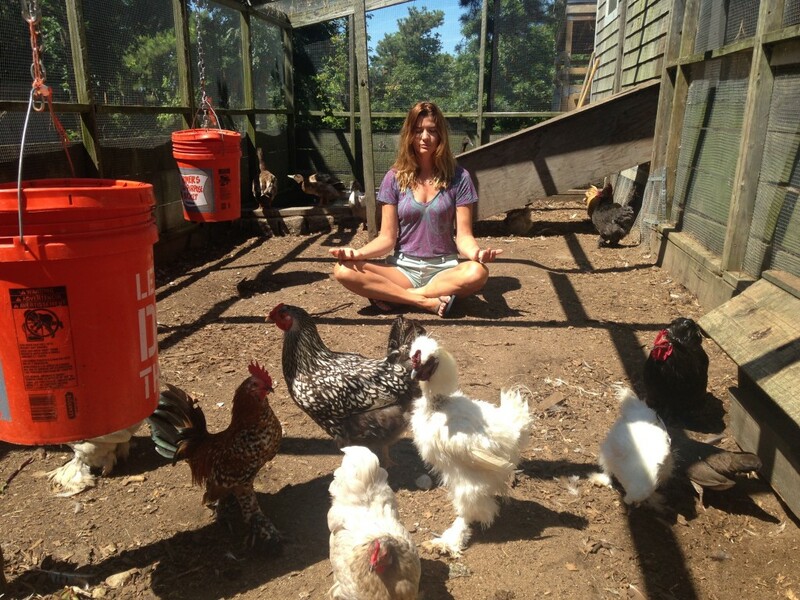 One of them is meditating. It’s actually really, really, really difficult. I find that when I close my eyes and try to focus on clearing my mind, it’s possibly the hardest thing I’ve ever done. I don’t think I have one breath rotation before I have to start over again. 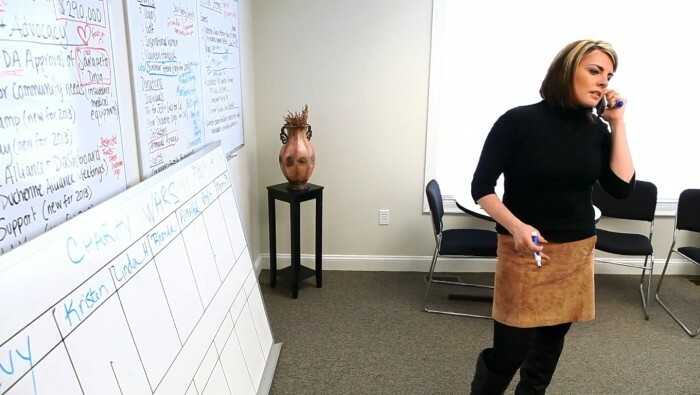 Carol Beggy has a big Rolodex (remember those?) and is not afraid to use it. She loves books and other Old World pursuits but lives totally in the modern world where you carry a thousand books on your e-reader. 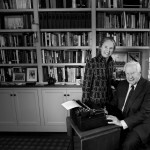 A former reporter and editor at the Boston Globe, Carol is currently working with Bill Brett on his book “Boston: Irish” due out in Fall 2014. It is their fifth collaboration. She likes pina coladas, dancing in the rain and talking to people on elevators about what they are reading.